JAILED former Zanu-PF Bikita West MP Munyaradzi Kereke is set to lose his Mount Pleasant hospital to settle a $3 million debt owed to a local bank (name withheld), after the financial institution filed a High Court application seeking to attach the infirmary. Kereke’s company, Fairdrop Trading (Private) Limited, which trades as RMC Hospital, is under judicial management and was cited as the respondent in the court papers. In the application, the financial institution is seeking permission to prosecute against a company under final judicial management. “This is an application for leave to execute against the respondent (Fairdrop Trading)’s property in view of the fact that the terms of the order placing it under judicial management and the provisions of Sections 301 (1) of the Companies Act (Chapter 24:03) require all actions and applications and executions of all writs, summons and other process against the respondent company to be stayed and not proceeded with without the leave of the honourable court,” the financial institution said. 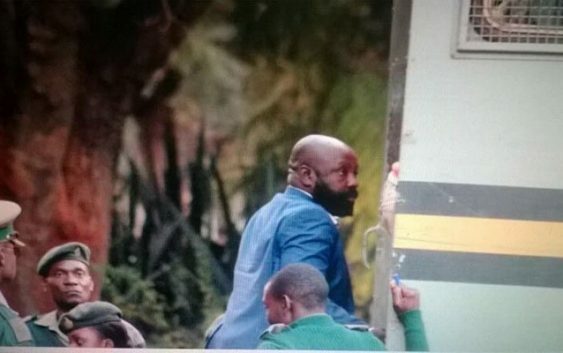 According to court papers, in September 2014, the bank obtained a judgment against Kereke’s company for the payment of $3 257 038,49 together with interest at the rate of 28 percent per annum. “Pursuant to the issuance of the order, applicant caused a writ of execution to be issued against the respondent on the 25th of September 2014. “Applicant proceeded to attach one of the properties held in the name of Munyaradzi Kereke, one of the judgment debtors called Stand 284 Mount Pleasant Township 11 of Lot 35A Mount Pleasant,” the court heard. Kereke’s company later applied to be placed under judicial management in 2014, but the bank claims it holds real security over the firm’s immovable property. “Respondent operates a medical centre which sits on two distinctly registered properties namely Stand 283 Mount Pleasant Township 11 of Lot 35A Mount Pleasant and 284 Mount Pleasant Township 11 of Lot 35A Mount Pleasant. “Stand 283 is registered in the names of the respondent as indicated … and Stand 284 is registered in the names of … Kereke. “Applicant can recoup the debt it is owed by the respondent if the two properties are sold in execution,” the court heard. The bank further claimed that Kereke’s company had shown that it was not committed to paying back the money and that it was abusing the judicial management process by failing to honour its debt. “For that reason, the applicant ought to be allowed to proceed with execution as it is suffering serious prejudice from the non-payment of the debt.